I recently wrote and photographed a piece for Midtown Magazine here in Raleigh, NC. They sent me to the homes of local art enthusiasts where I interviewed the collectors and took pictures of specific pieces. Then I spoke with the artists who made them. I learned so much about our local art scene and the talented eyes and hands that bring such a vibrant culture to the Triangle area. You can check out the full article in Midtown Magazine's online flip book. The Triangle is a place where many collectors and artists find their counterparts. With the mix of college students, young professionals, retirees and everyone in between, the area is brimming with eclectic tastes and talents. These stories tell how a match was made for a handful of local art collectors. 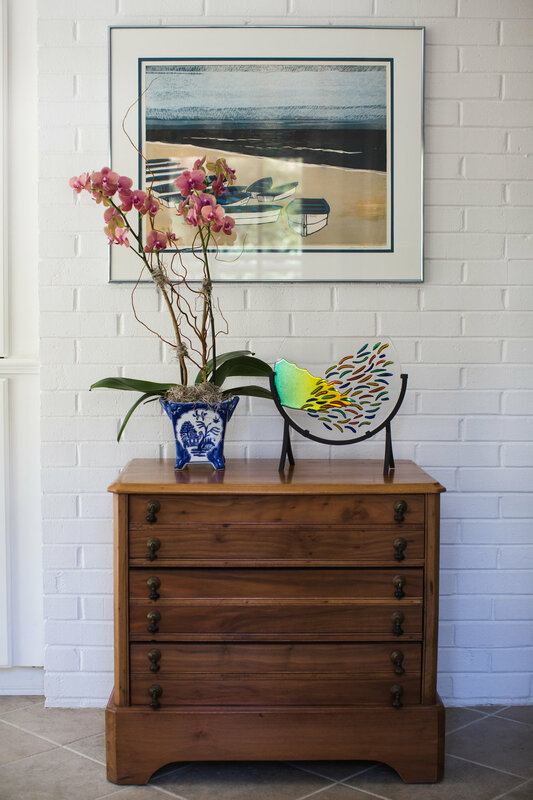 They were generous enough to invite us into their homes for a glance at how they display their special pieces. Mary Regan is the former Director of the North Carolina Arts Council so it’s no wonder she has an eye for talent. She found Derek Hennigar at the Carolina Artisan Craft Market, an annual show where over 100 artists from NC present their work. 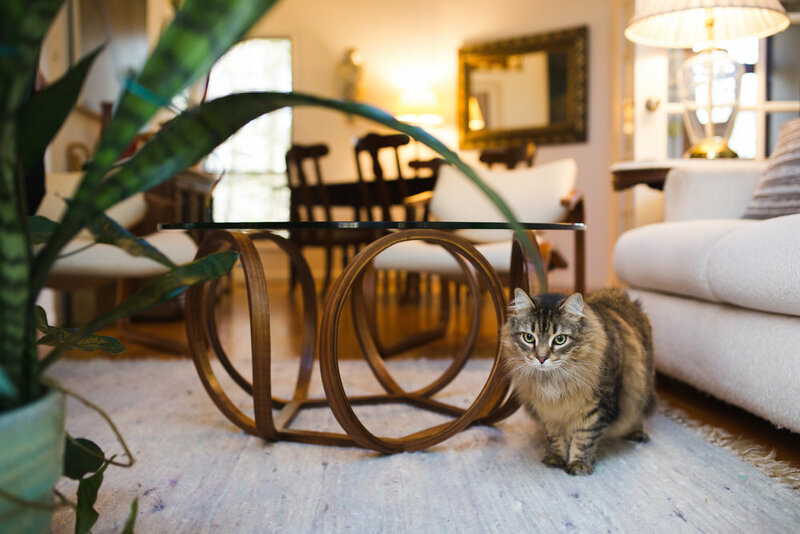 “I went to the show and saw lots of solid wood tables, but I needed something that didn’t take up so much space. Then I turned a corner and saw Derek’s Bentwood tables and I just knew I found the perfect fit. It’s like it was made to go here,” said Regan. Hennigar’s studio is located in Polk County, NC. His website is www.ordinaryfurniture.com. 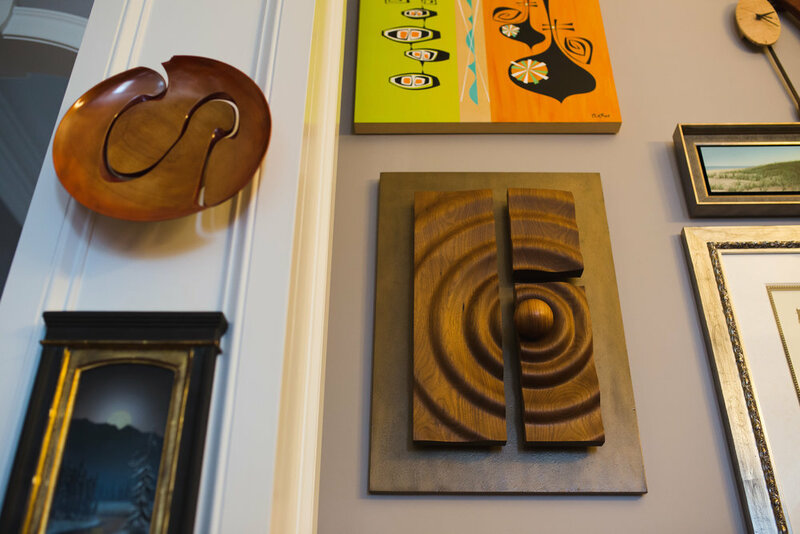 With names like Norman Rockwell and Alexandra Nechita adorning the walls, this Cary couple's condo is a three story contemporary art museum displaying a collection they built over the past 35 years. “We have almost any kind of art you could imagine and it fills our house. Even our elevator and garage have some custom pieces we commissioned,” said the collectors. 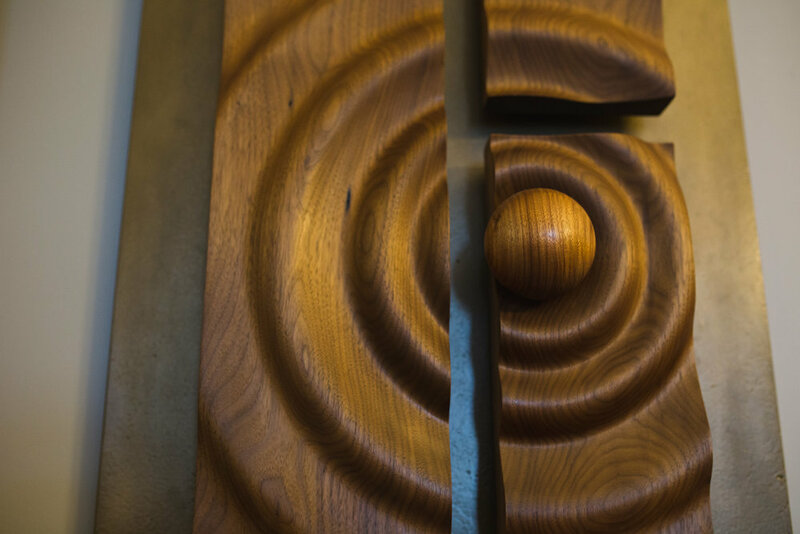 The couple encountered Kassan’s work at the Carolina Artisan Craft Market and purchased his piece called “Chi”. 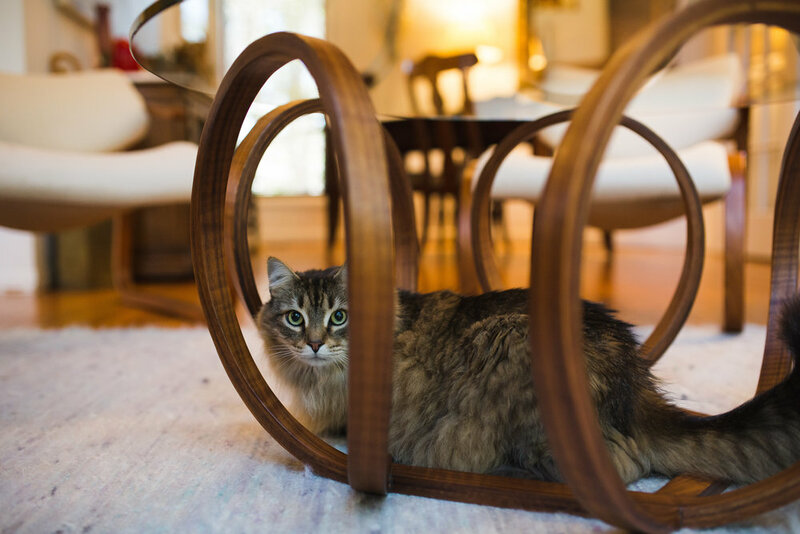 It’s made from walnut on a bronze background with a canarywood sphere. “I was trying to capture the expanding energy of ripples in water when a stone is dropped into it,” said Kassan. Kassan’s studio is located in Franklinton, NC. His website is www.craigkassan.com. 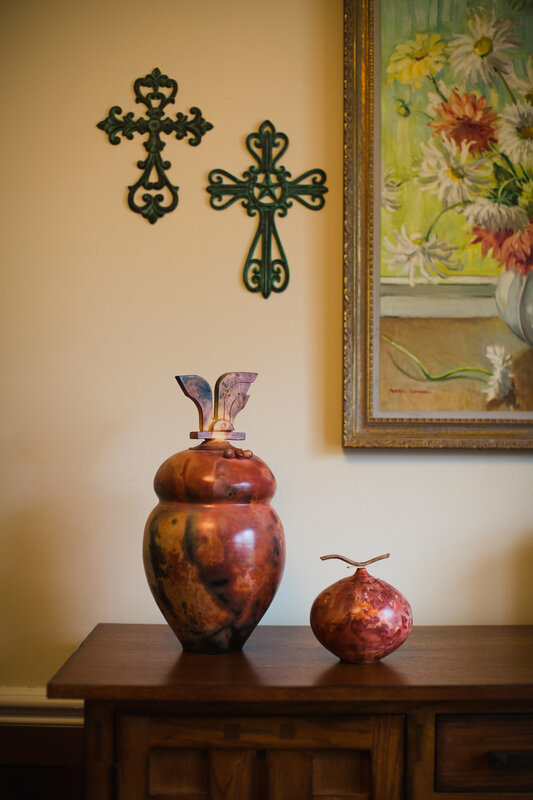 Gail Tilton first started collecting art after reading Uncommon Clay, a book written by famous Raleigh author Margaret Maron. The characters in the novel traveled to the famous pottery town of Seagrove and Tilton made the same trip after finishing the book. The first pot she bought was a Ben Owen III. Her sister, Jeanne Maher, is also appreciative of the arts, and now serves as the Treasurer of the Carolina Designer Craftsmen Guild. “Our mother was an artist and an art teacher so we grew up around it,” said Maher. The collector sisters first met potter Andy Smith at the annual Carolina Artisan Craft Market. “Andy is so nice and personable. When artists are friendly, you want to support them,” said Maher. 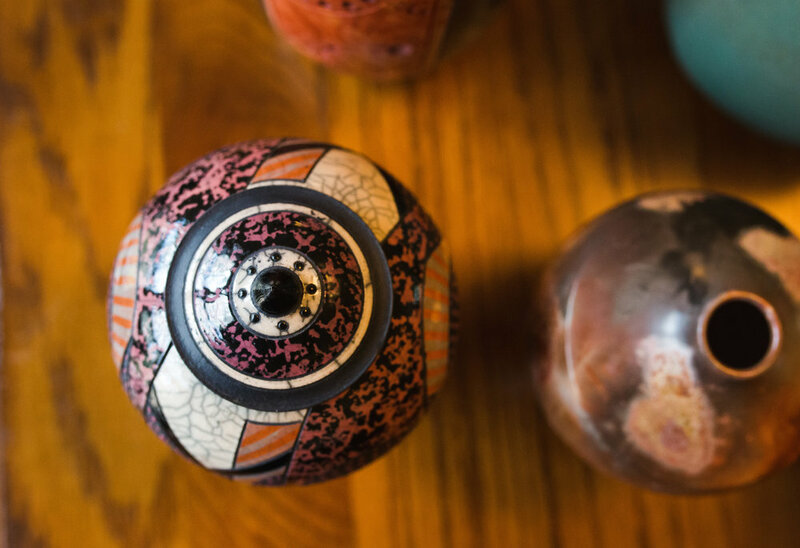 Gail was attracted to the earthy colors of the glaze Smith uses. She also liked the matte finish rather than a glossy one. “You can see he has an advanced skill because of the thinness of the pots and each one has a unique shape,” said Maher. Smith’s studio is located in Marshville, NC. His website is www.rakubyandysmith.com. Cheely’s studio is located in Apex, NC. Her website is www.jeancheely.com.